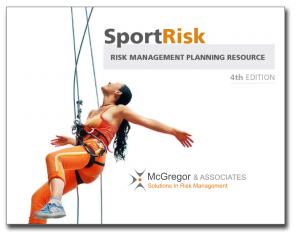 improved and expanded sections on Sport Clubs; Camps; Risk Profile; Risk Management Committee – and more! Still not convinced? have a look at the table of contents. Understanding how the critical concept of ‘Reasonable Standard of Care’ impacts the sport, leisure and recreation industry is the basis for all risk management planning efforts. To help develop this understanding, Core Concepts in Negligence and Legal Liability explains what constitutes negligence, and explores how negligence and legal liability is established through the courts. Presents an overview of a basic planning process that can be used in developing practical risk management action plans. Focusing on the fundamental elements of what constitutes negligence, the video provides advice and guidelines that are capable of being customized to any situation. The Sports Club class has been a jewel. I have learned a lot of information about my own sports clubs program just by taking this course. It has shown me some gaps in my training, our staff’s training, as well as our program. It has also showed me that we are not alone in our concerns and problems!